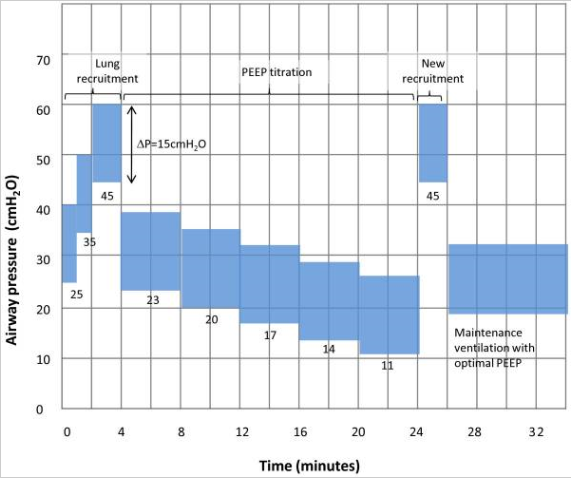 In patients with moderate to severe acute respiratory distress syndrome (ARDS) does use of a lung recruitment maneuver associated with positive end-expiratory pressure (PEEP) titration according to the best respiratory-system compliance, compared with a conventional low-PEEP strategy, decrease 28-day mortality? ARDS affects 10-15% of the ICU patient population. 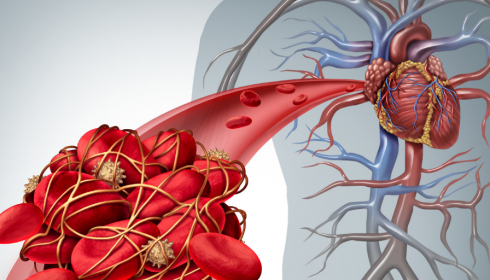 ARDS is associated with increased mortality and poor long term quality of life. 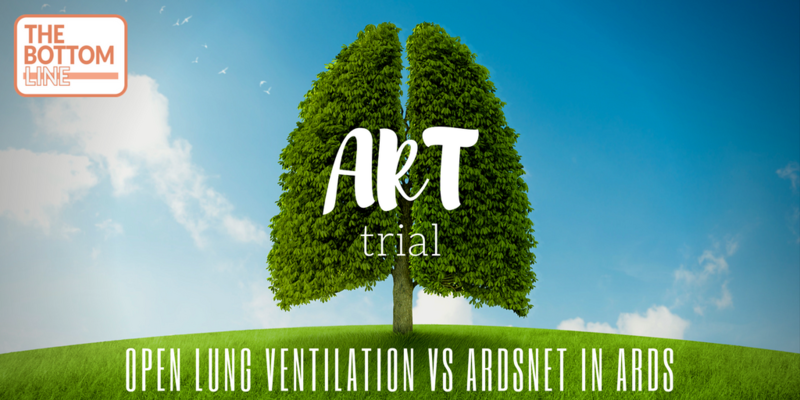 Mechanical ventilation is a key element of the management of ARDS, yet can also worsen the condition through ventilator-induced lung injury (VILI) and some ARDS patients still progress to ventilator-refractory hypoxaemia. An ‘open lung approach’ involving relatively high positive-end expiratory pressure (PEEP) settings and lung recruitment manoeuvres has been proposed as a means of reducing VILI (e.g. by decreasing atelectrauma) and improving oxygenation. 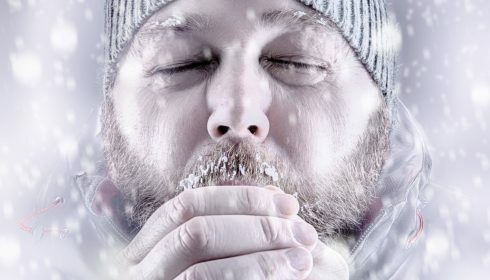 Previous trials have found improvements in oxygenation, respiratory-system compliance, and biomarkers of systemic inflammation, without increasing barotrauma or other adverse events. However, proof of benefit in terms of patient-orientated outcomes is lacking, despite systematic reviews of pre-existing literature suggesting improved mortality with recruitment manoeuvres and no increase in barotrauma. In general, previous studies have been flawed due to study designs with a high risk of bias and highly variable use of co-interventions in addition to high PEEP and recruitment manoeuvres. These findings do not support the routine use of lung recruitment maneuver and PEEP titration in these patients.